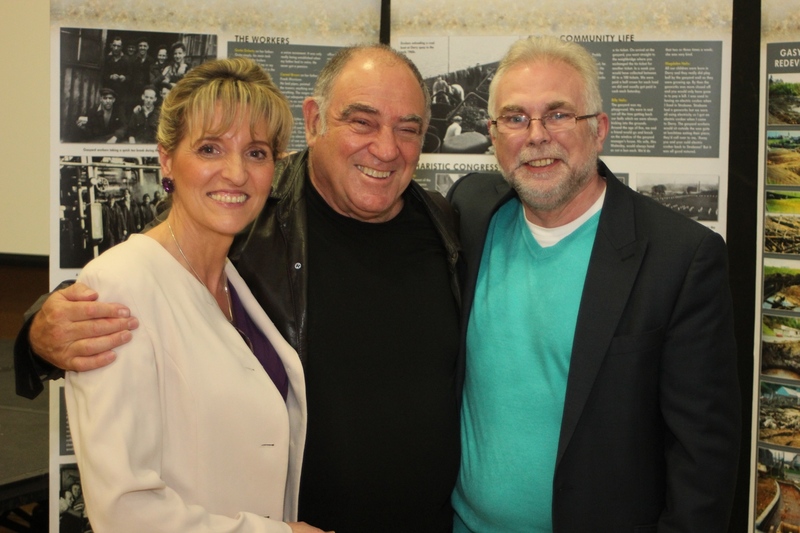 Sinn Féin adviser Paul Kavanagh, right, with the ANC's Ronnie Kasrils, & Martina Anderson MEP. A former IRA bomber who risks losing his job as an adviser to deputy First Minister Martin McGuinness because of tough new legislation says the move will call the political process into question. Paul Kavanagh was sentenced to five life terms for his role in an IRA bombing campaign that included the killing of an army explosives expert and a 1981 attack on Chelsea military barracks in London. He was released from jail following the 1998 Good Friday Agreement, and four years ago he was chosen by Sinn Féin to be a Special Adviser in the joint of Office of the First Minister and deputy First Minister. The 57-year-old recounts how events including the shooting of his brother who was also a republican led him into the IRA, details his longstanding support for the peace process, and says his current role is one he sees as helping to build a better society. But with his Stormont job under threat because of the bill drafted by Traditional Unionist Voice (TUV) leader Jim Allister, which is supported by IRA victim Ann Travers, the republican has spoken out. “Would me being sacked benefit victims?” he says. “Or will it actually say to people outside, `the political process doesn’t work’? “Twenty years into a peace process and the victimisation goes on and we’re still going to exclude people? “Exclusion was part of the problem that we had and why we ended up in conflict. He says Sinn Féin may consider a legal challenge to the legislation, which appears set to secure its final passage in the Assembly, before then going for Royal Assent. The Special Advisers bill emerged after the outcry in 2011 when Sinn Féin Culture Minister Carál Ní Chuilín chose an adviser jailed over the murder of 22-year-old teacher Mary Travers, seen as one of the most shocking killings of the Troubles. Sinn Féin faced heavy criticism for the appointment and was accused of insensitivity to victims. But Mr Kavanagh says his family has also suffered loss. His 18-year-old brother Albert was an unarmed IRA member shot dead by the Royal Ulster Constabulary (RUC) during an attempted bomb attack on commercial premises in south Belfast, but in circumstances which are still under investigation. The Sinn Féin Special Adviser argues that the debate around victims has become skewed. He says of his own bereavement: “It had a massive affect, not just on myself but my whole family. “The shock of having someone killed and feeling that loss, I think it’s almost impossible to describe. I understand that. “But where does this stop? If Jim Allister brings a bill tomorrow that says ex-prisoners cannot be teachers, well will the SDLP support that? “This notion of what sensitivity is – the difficulty was that there was a particularly high profile case with Ann Travers, and that just seemed to be the whole focus of it. He adds: “My brother was killed in March 4, 1972. He was shot dead by the police. He was an IRA volunteer and we still carry the scars from that. “The case is still with the Police Ombudsman’s office being re-investigated, because my brother was unarmed when he was shot. Did his brother’s death influence his decision to join the IRA? “It was a factor – there’s no point me saying it was the deciding factor. “I was born and reared in Belfast. I remember Civil Rights marches being beaten off the streets. “I remember the pogroms in August ’69. I was in Conway Street when it was being burnt down by loyalists mobs and supported by the B Specials [police]. I was in Bombay Street [burned down] on August 15. “So I have seen a state that just uses violence against its people. I remember the Lower Falls curfew. I remember those things because of my age. “Those are all things that had an impact on me. Asked about the lives taken and relatives bereaved by his actions and those of the IRA bomb team he was linked with, he says: “There has been almost 4,000 people killed in this conflict and all those deaths are to be regretted. “And even the ones that I was involved in are to be regretted. He adds: “I have to get on with my life. There are things I can’t change [but] I was released in 1999, and even prior to my release I was very supportive of the peace process. “I have worked very hard to make sure that we stay on that road and we don’t go back to violence. “But there are many people out there saying, ` Whose job goes next?’. “We are working damn hard to try and make sure that we don’t go back to violence. “We’re working on the interfaces, we’re working in communities. “I worked in the community and voluntary sector for seven years before coming to the Assembly, working with some of the most deprived communities, trying to help build a better society. “I have continued to be a very strong supporter of the peace process. “I remember a former UUP leader saying `because you have a past, it doesn’t mean you can’t have a future’. Critics have questioned the appointment of ex-prisoners to key Stormont posts. He said he was appointed as a Special Adviser due to his experience – including a Social Sciences degree studied for while in prison, seven years working in the voluntary sector, and experience writing policy papers used by his party in its work in government. He is married to Sinn Féin MEP and former republican prisoner Martina Anderson and says her previous role as a Stormont Junior Minister makes a mockery of the proposed new law. TUV leader Jim Allister says his legislation – which he wants to be known as `Ann’s Law’ in honour of Ann Travers’ campaign – would prevent anyone sentenced to five years or more in jail for serious offences from becoming a Special Adviser – known in government circles as `Spads’. Applicants could overcome the ban by meeting criteria including showing contrition and assisting police investigations. In 1984 an IRA gang opened fire on magistrate Tom Travers as he and his family left Sunday Mass in Belfast, killing his 22-year-old daughter Mary. Ann Travers has recounted how she felt physically sick at the news that a republican linked to the IRA gang that killed her sister had been placed in a key Stormont adviser post. She supported the bill brought forward by Mr Allister and gave evidence to the Stormont Finance committee which scrutinised the legislation and spoke of the deep pain felt by victims whose needs she said often appeared to be low on the list of political priorities. Ms Travers has drawn a distinction between elected politicians with a paramilitary past, who have a mandate to take on their roles, with the cases of unelected ex-prisoners being placed into key posts. The legislation faced road blocks, as previously reported here. And it sparked bitter debates in the Assembly, as also reported by The Detail here and here. The SDLP indicated it might support Sinn Féin calls to sign a Petition of Concern over the draft legislation, which would have ensured the bill required the support of both unionists and nationalists and, as a result, would have been blocked. But lobbying from veteran SDLP figures and by Ann Travers, led to an internal party debate. The private discussions came after some SDLP members were critical of the legislation in Assembly debates, but the party has opted to effectively allow the legislation to proceed as a measure of support for victims. Mr Kavanagh is highly critical of the SDLP and questions why the party has made its decision. Critics of the bill have complained that, while it is drafted to cover ex-prisoners guilty of a range of serious crimes, it will in real terms only impact upon Sinn Féin. The party’s ranks include former prisoners. And a number, including former IRA commander Martin McGuinness, have been elected to the Assembly and then appointed by their party to hold ministerial portfolios. The added criticism is that other victims, including the victims of state violence, have seen those associated with the murder of their loved ones go unpunished. Mr Kavanagh, who now lives in Derry, said: “There is no single view of what victims want. I can understand loss because my family have been victims. “If you talk to the families of Bloody Sunday people – the craziness of this now is that what could happen is that the paratroopers that killed 14 people on Bloody Sunday, who have never been prosecuted, could act as Special Advisers – but yet, I can’t.